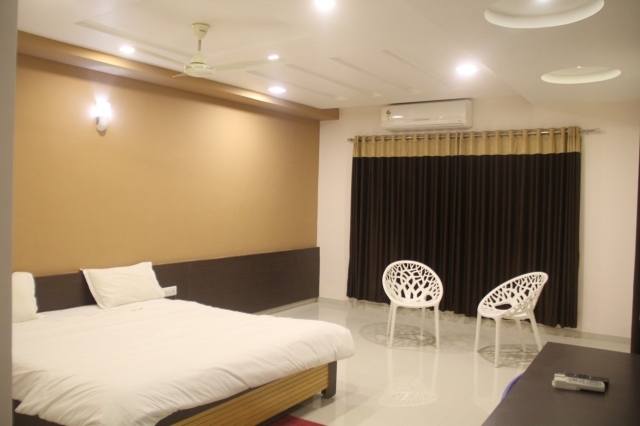 Ac Room with LED Tv,Double Bed. Intercom Facility, Free Wi-Fi Access. Taxes are extra as applicable subject to the government norms. Rates are subject to change without perior notice. Check out time at afternoon 12 P.M.